The 6th book in the Ransom series is now available! The 3rd book in the Lilac Bay series is now available! Check out All’s Fair today! Two rival bar owners. One inconvenient attraction. 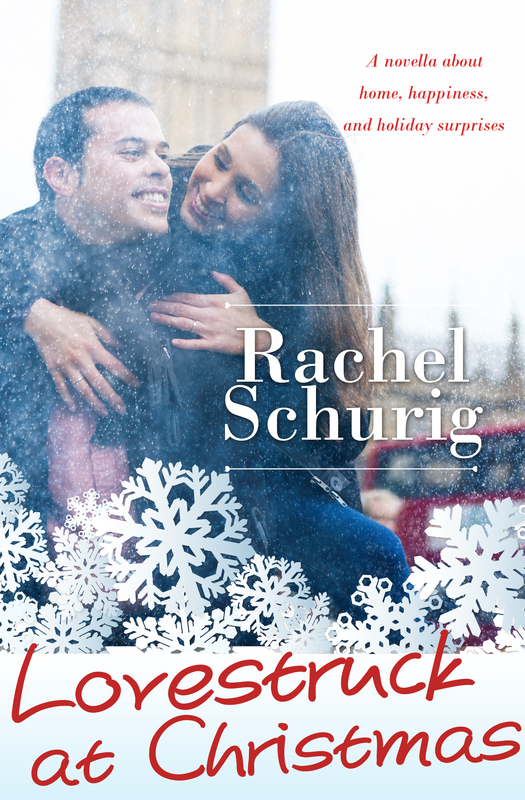 All’s Fair in Love and Beer in this new small town contemporary romance from USA Today bestselling author Rachel Schurig! Intrigue is available now! It’s the first book in a brand new series. You can catch up with some of your favorite Ransom characters in this spin-off. The best way to keep up to date on new releases is to sign up for my newsletter! I promise not to clog your inbox, I mostly send out emails when there’s new release info or I’m running a giveaway! 1-3. Three Girls the Complete Trilogy: Amazon, Amazon UK, Barnes and Noble, iTunes, Kobo, Google. 1. Lovestruck in London: Amazon, Amazon UK, Barnes and Noble, iTunes, Kobo, Google, paperback. Don’t forget to sign up for the mailing list for new release information! I happened upon Three Girls and a Baby while searching the Kindle Store and I loved it! It was so relateable. I was so excited to find Three Girls and a Wedding and Three Girls and a Leading Man. I am so glad that you gave Ginny, Jen and Annie each their own story. It was so easy to connect with all three characters! I enjoyed all 3 books and look forward to reading what you are writing next!!! All the best! Love these books, cannot wait until you come out with another one, just read leading man and it was awesome!!!!!!!!! I also found Three Girls and a Baby while browsing for my kindle. I loved that and was pleased to find the two others. I know the series has finished but I do wish there was going to be more so we could carry on with their stories! I found Three Girls and a Baby through the Kindle store and absolutely loved it. After reading a few of my favorite passages to my husband (including the part when Ginny lamented that watching too many Colin Firth movies was probably not good for her health), he commented that I just might have found a kindred spirit in an author. Anyone who can write a great book that includes references to Colin Firth, Jane Austen, Stieg Larssen’s books and “Anne of Green Gables” (all on my list of all-time favorite things) is definitely someone I’d add to my list of favorite authors. I got a free kindle download of 3 Girls and a Baby. Read it last night, couldn’t put it down! I absolutely LOVED all 3 books!!!!!!! The books were so down to earth, sweet, and funny. I will be waiting and watching for more! Thank you for the great books! Oh, thank you, Anne! You just totally made my night:) I’m so glad you liked them. I am hard at work getting the next book all polished up and ready for publishing. Hopefully it will be good to go in the next few months! Thank you so much, Carla! I’m really glad you liked the Three Girls! I’m so glad that you had Three Girls and A Baby as a free kindle download. That is what made me check it out. I’m more than halfway through and I love it. I will be purchasing the rest of your books. Thank you, April! I like offering books for free download. I’m just happy when people are enjoying my books! So glad you liked Three Girls and a Baby! I have read every single one of your books and i have just fallen in love with the friendships and lives of the ”Three Girls” and even kiki! I haven’t found an easy fun read like this where i feel involved in the characters’ lives in such a long time. When i found the girls and a baby, i read all the others back to back. Then i read your new one which i loved too. Now I’m sad I’ve read them all..any idea when you might have New book out? I can’t wait!! 🙂 your books are so great! Thanks so much, Mary! I’m so glad you liked the Three Girls books! Did you know Kiki has her own book? Right now I’m working on the sequels to In Search of a Love Story. I’m hoping to have that entire series out early in the new year. Thanks again for stoping by! 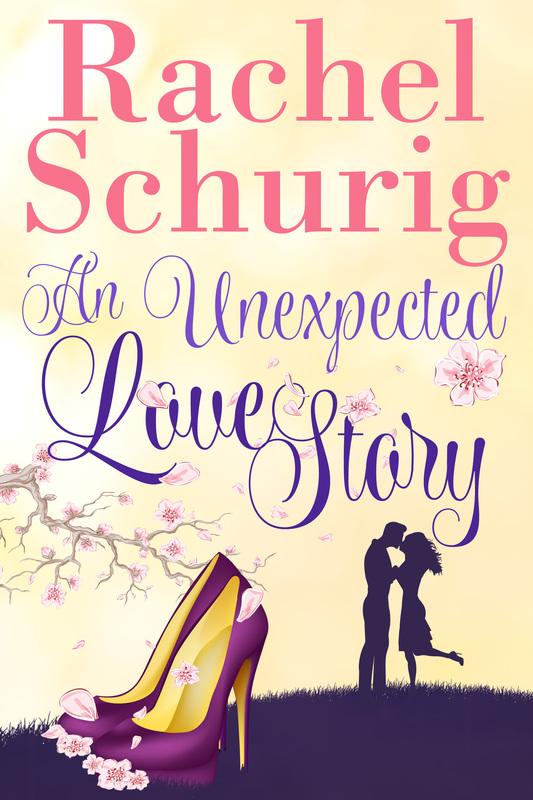 I have always been a huge fan of chick lit and was thrilled to find a new series I love. I am originally from Royal Oak and reading about all the places I enjoy makes them even better. I can’t wait to read more. Thanks, Elizabeth! I have always loved chick lit too, and I was so excited to create books set in my hometown:) So glad you liked them! Hi Rachel! Congrats on your books! Just wondered who your publisher is. I’m thinking I writing children’s books with an artist friend and EO feted the best/easiest/cheapest way to go! Wow…Your books are great! Not my normal reading style but your characters are so normal and relatable. I can’t decide who’s my favorite because I love something about all of them including their spouses. I read the girls series and Kiki’s story. Getting ready to open the next….Please don’t stop writing!! Thanks, Traci! I’m VERY glad you liked them. I have a hard time picking my favorite girl:) Right now I think it’s Kiki but I change my mind a lot! The three girls were amazing I loved them solo much you couldent beloved it I almost had a tatrum when I found out I read all of them you are truly an amazing writting what do the three girls have next? I’ve read all the books in the series three girls and a baby I couldn’t put them down,unlike most books in a series I find eventually the story line dries up.I can honestly say in all these books I was hooked and never once got tired, the characters are amazing. Can’t wait to read the fifth one……..
I’m so happy to hear that you liked them! Book 5 is so close to being ready for release. I’m going to be posting an excerpt later today 🙂 Thanks for your kind words! Thanks, Anna! I’m so glad you liked the girls. There will definitely be more books about them–in fact, book 5 is coming out at the end of the month! There’s Kiki’s book too, if you missed that one (The Truth About Ever After). Thanks so much for reading and stopping by! Was the Three Girls and a New Beginning supposed to come out today for the kindle? For some reason I can’t find it anywhere on the kindle books? I’m so sorry, Anna! The release was delayed until Tuesday (today!). I updated my Facebook with the info but not my blog. I’m sorry you were looking! The good news is that you don’t have to wait long:) I’ll post the link here and on twitter as soon as it’s live! I just absolutely loved Three Girls a New Beginning!!!!! It was amazing!!! How many more books will there be for the girls??? Thank you!!!! I have fallen in love with these books! I bought the first three as the set and they have consumed my evenings the last few weeks, my husband not so happy about that lol ;), but so glad I found these. Need to buy book four and five now and can’t wait to see what happens! I’m so glad you like the trilogy! Sorry, Ashley’s hubby 😉 I can’t wait to hear what you think about books 4 and 5! Thanks so much for stopping by!! 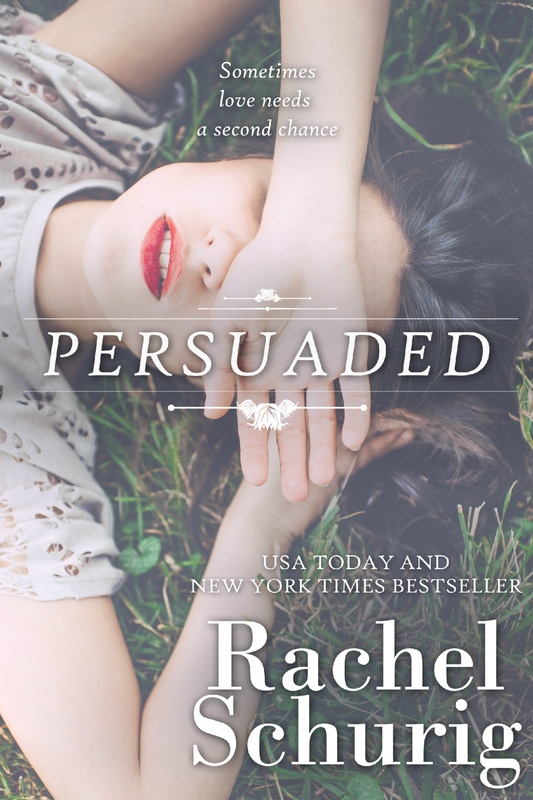 2 and a half weeks ago I downloaded three girls and a baby after finding the free download…..I quickly completed the series and fell in love with all the characters! So after giving myself the few days I always seem to need in between novels i started on Lovestruck and oh my I am even more in love with these characters! I am in love with Thomas and Lizzie! (And i was thrilled when Three Girls’ Annie made a suprise turn up) I’m just about to start Lovestruck in Los Angeles and I just know I won’t be disappointed! Confession: I have a huge crush on Thomas 🙂 Thanks, Becky, I’m so happy you like the books. I can’t wait for you to read what happens in book 3! Hi I only recently found your book while browsing the kindle store I started with the three girls that was a week ago got completely hooked and have now read all five of them I loved them so I looked to see if you had written any thing else and found lovestruck I’m really hoping that there will be a third one coming soon???? Thanks so much, Doreen! I’m so happy that you liked the Three Girls and Lovestruck. I’m working on book 3 right now and hoping to release it in May:) I have another series out as well. 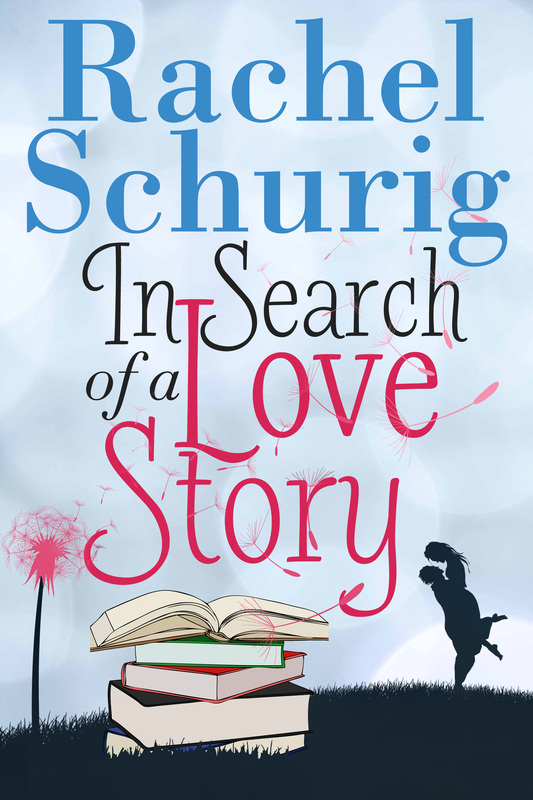 The first book, In Search of a Love Story, iS free right now! Just finished reading all 5 book in the series and LOVED each one. I only wish my girlfriends and I had as much fun as those 3 girls did! Now I am starting the next series the “love Story” books and I can not wait……my only problem is fitting in the time to get my work done around reading. I wish I had discovered your fabulous books while on vacation so I had more time to read! Thank you, Alison! I really hope you like the Love Story books as well. I totally sympathize with not having enough time to read, that’s a problem I always have! 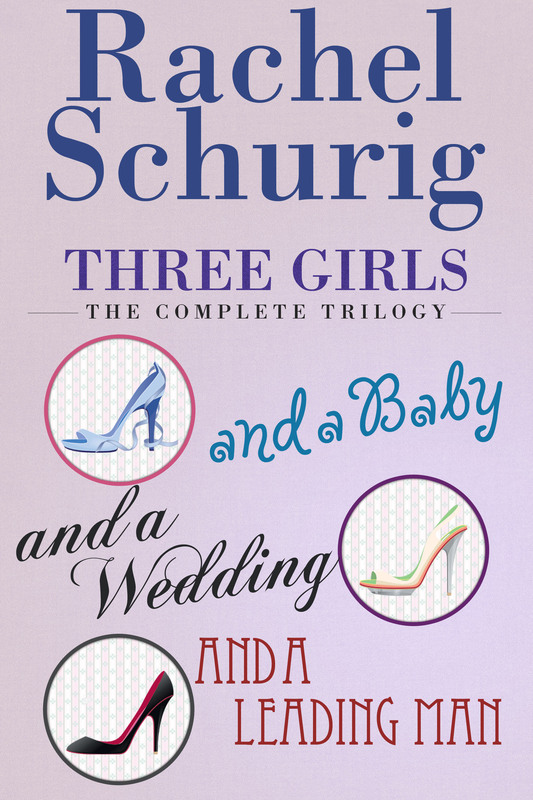 I found the three girls trilogy on the kindle store and loved all them, I was so sad they had to finish! It was great to find there is a book 4 and 5! I’m now half way through book 4 and from reading other posts am excited to get your other series too! Thank you for such great reads! Have read all of your books and love them all! Can’t wait for you to release another one! This past winter I discovered you through Three Girls and a Baby. I loved the whole series. I also found and read the Love Story series and just recently the Lovestruck books. Today I finished Ransom. When will the next Ransom book be out? Thanks! I’m so so happy that you like the books, Kathy! I’m working hard on the next Ransom book right now. 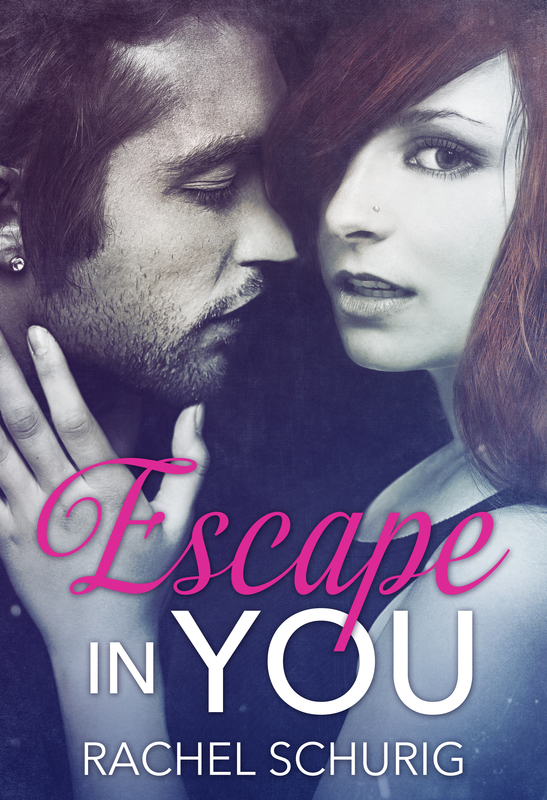 I hope it should be ready in early July:) Have you read the Escape books gets? The first one is currently on sale for $.99. Thanks SO much for stopping by! Really enjoyed all 5 of the Three Girls books, currently reading the first in the Lovestruck series, have you any plans on a 6th book in the Three Girls series? Hi, Alison! There will definitely be more Three Girls, I miss them way too much when I leave them alone for too long 😉 I’m so glad you liked them! Love all your books. Just read Ransom and can’t wait for the next one. Please say there is a next one and won’t be to long before it gets released. Hi, Catherine! I’m really glad you liked Ransom 🙂 The second book in the series was just released yesterday! I’m sorry, Katie! The 2nd book is not on iTunes yet but I am working to get it uploaded by the weekend. Book 3 is actually not out yet. It’s with the editor right now and will hopefully get up on iTunes before they shut down for the holidays. I’ll post links here when they’re live! Hi, Katie. I went digging once I couldn’t locate the second book on iBooks. (You may have already done so, but here’s my run through in case anyone else is dying to read it!). Download kindle for iPhone on your App Store, sign in to your Amazon account (if you do not have one, Amazon app and create one), log in to Amazon acct on kindle app on your iPhone, search Amazon website (cannot be done through app) for book second book title (I typed Release) and it will load it in the kindle for iPhone app!!!! Hope that helps! When will the next ransom book come out? I love all your books they are amazing! you are truly talented! I can’t seem to find Lovestruck in LA, I’ve read Lovestruck in London and I believe Lovestruck in LA is the next one, today I brought Lovestruck forever but don’t want to miss out on the middle one? I am using an iPad (I books the app is called) could you advise me when this will be available on there? or where I can buy it from? I live in London, England. I absolutely loved your “Lovestruck” Series. Will there be more? Like what happens to Sofie? There will be more for sure! 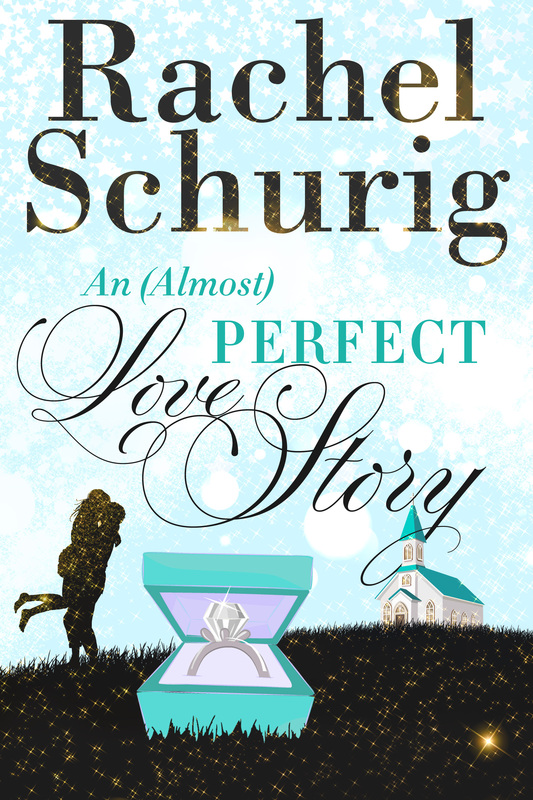 There’s a holiday novella coming out in November and next year Sofie will get her own book. I’m glad you liked the series! ive just finished the lovestruck trilogy (LOVED IT). is there going to be another? Yay! I’m glad you liked it! There’s a new holiday novella coming out next month and there will be more full length books about Lizzie’s family and friends next year. Thanks, Lorna! I absolutely love all of these books! 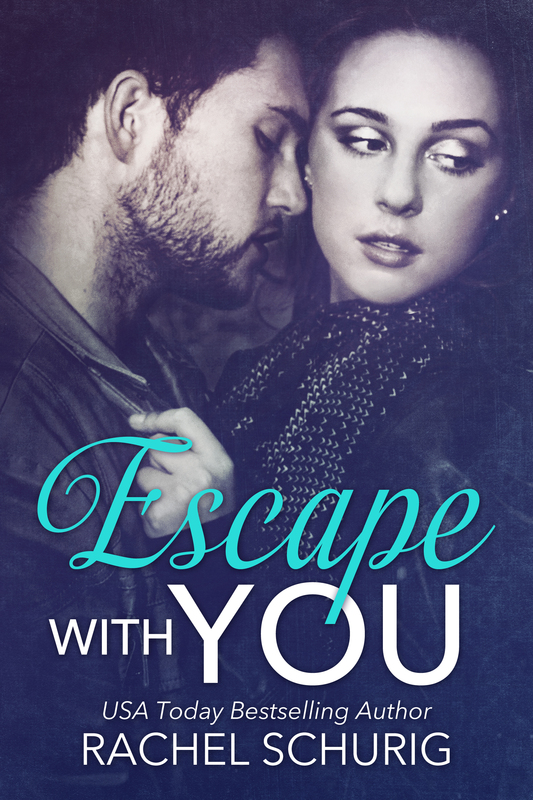 I’m onto Escape with you now and I’m nearly finished that. I’m gutted there isn’t more after Ransom, you gave to write more and get them on Kindle. I only started reading them from the beginning in September and I’m nearly done already, can’t put them down. Thank you for writing them and please write more! I really love your “Lovestruck” series, Rachel. I think I read all three novels within a week and just started and finished “Lovestruck at Christmas” today. More, please! I’m so glad you liked them!! I’m very excited to start on Sofie’s book after Christmas! 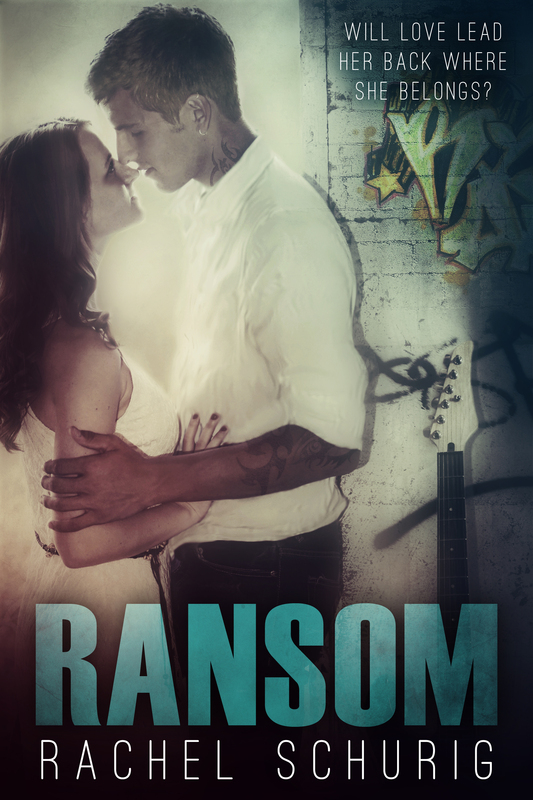 I just couldn’t stop reading Ransom! I finished it within hours because it was such a fun read. I love your writing style, it really allowed me to feel connected with the characters! Can’t wait for the next book in the series! hi I absolutely love the ransom series! just finished the third one was wondering if there was going to be a fourth? Hi, Brandie! I’m so glad that you’ve enjoyed the books! I love writing about local places in my stories, I love living in this area 🙂 Thanks! Yes, definitely! So glad you like them!! Hi, I love your books they’re addictive, once I’ve started reading then I cannot stop, just wondering will there be another book after love struck at Christmas on Lizzie and Thomas ??. First of all I was not a reader at all until I got my kindle fire.my first book in years was love struck in London. I fell totally in love with Thomas! So I quickly bought all the others in that series and they are great! After that I went on to three girls and ransom. I am glad I have plenty of books left to read in those series until Sofie’s story comes out! The love struck series is still my favorite and I am glad it will continue!! I am so thrilled that my books helped you to pick up reading again! It’s one of my very favorite hobbies and sharing that love with someone else makes me very happy. Thank you! Hi I got Ransome on iTunes on Saturday and read it Saturday night and loved it so much I read Release on Sunday night and Redeem on Monday night. Please tell me you are working on Lennon’s story……. I’m looking forward to reading more of your books. I’m so glad I discovered your books even if they are robbing me of valuable beauty sleep. I’m sorry about the beauty sleep but I’m so glad you like the books 😉 I’m working on Levi’s book now but Lennon will definitely get his own! Thank you! This was such a nice comment! thank you, Lynsey! I’m so glad you’ve enjoyed the books. I’m hard at work on the next one! I’ve read all 3 books on the Ransom brothers can’t wait for the next one. When will it be out? I love that you feel like Kiki while reading, that’s the best! I know this is an older comment but if you’re still having trouble finding Snow Kissed please let me know! I absolutely love all your books, I started with the love struck series and, having read other books with a similar premise, wasn’t actually expecting much, I usually finish those books with this unsatisfied feeling because the female character just goes back to the male character without any sort of resolve or anything. With the lovestruck books, and really all your books, I feel satisfied that the female characters, and the male characters, resolve any problems they have and always go for their dreams, even if they don’t know what their dream is at the beginning of the story. You’ve quickly become one of my new favourite authors! I’m sorry for replying to this so late! What a very kind comment! I’m so glad you enjoyed the series and you find the character journey satisfying. That is always my goal! Thank you! Rachel, I started with the Three Girls series and loved them. Next came the Love Story series and that was good too but my absolute favs are the Lovestruck – Starstruck books and I really want to read more about Lizzie, Thomas, Sofie, and Jackson!!! Even Lola redeemed herself in Starstuck. How about her story and Sam’s?? Ransom is next. Thanks, Rachel! I’m so glad I found your books! I’m so glad you like them! I really miss the Lovestruck gang and I can’t wait to write about them this year! Yesterday I bought “three girls and a baby” and I wasn’t able to put it away! After finishing it yesterday night I’ll have to buy the other ones. It’s really great and you’re a very talented author! I know this is an old comment but please let me know if you’re still having trouble! Is Levi ‘s story out yet? It is indeed! Lennon’s book is coming soon. Yay! New one coming very soon! I’m so, so glad you like the series! Thank you! I’m so eager to write another Lovestruck book, I miss those characters! Google Play had difficulty processing that book for some reason 😦 My assistant is trying to get it taken care of. Sorry for the wait! Hi! I love the ransom series and am trying to locate the fifth book on Google play store! Any news on when it will be released? It just came out today, Jessica. I hope you like it! It just came out today! I hope you like Rescue! I found your books when doing some research on the internet and have now brought every single one of the books you have published, they are all amazing!! I loved Lovestruck best because the plot was so interesting and I can relate to some of the plot, obviously not the movie star bit! You are definitely ne of my favourite authors!! Thank you!! I can’t wait to work on another Lovestruck book this year! I read three girls and a baby and I’m about to read the second one I ran across this book and haven’t read it and then I read it in three days!! Omg I love the girls and Danny and the way josh comes back!! I love the Ransom series! Is there any chance that On the Road (A Ransom short story) will be available in other formats. 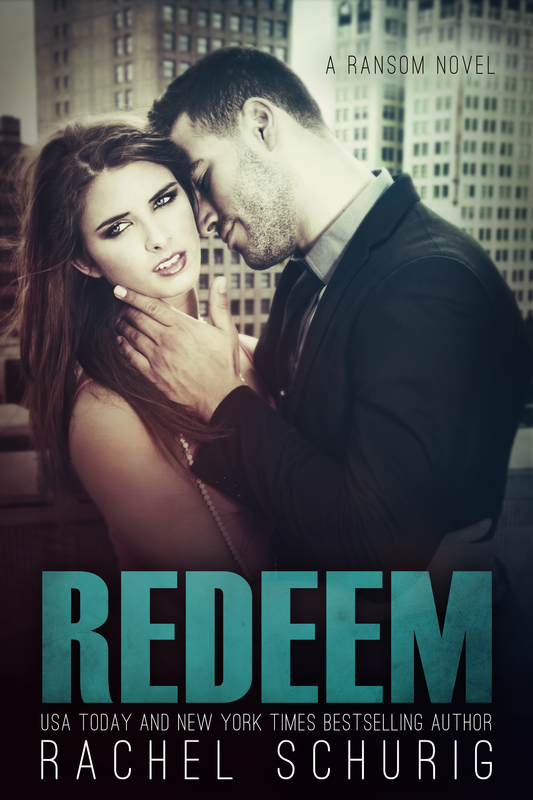 I have all your books on my Nook and would love to add this one. Love the Ransom series!! Was wondering when the 6th book ‘Ransom Brothers’ mentioned at the end of Rescue was gonna come out? Hi Rachel. Like many here I read three girls and a baby as a free download and quickly went on to devour the other books in the series. I was wondering whether there was any news on when the three girls book 6 is coming out? Hi Rachel. Just wanted to check in and say that I like so many others love your books. Your characters are just so easy to relate too. Just wondering if you have any plans to bring out Three Girls book 6 anytime soon? Hi Rachel, I just wanted to drop by to say that I really enjoy your books. I read all the three girls books in quick succession and they are just brilliant. Any news on when the next one in the series is coming out. or even if there will be one? I know this is really old but I just came across this comment. Sorry! I’m so glad you liked Three Girls. I have another book planned but I’m not sure when it will be out. In the meantime, I have quite a few books that are free you could check out. Thanks for stopping by! I have now read every single one of your books now. I love that you give us so many sides of the story in each series. I don’t think I have a favourite as I love them all. I get a wee thrill of excitement every time I get an email to say there’s a new book. No matter what is going on in my life I can pick up one of your books and lose myself in it. I feel like I know all the characters. I laugh and cry and get frustrated right along with them. Can’t wait for your next one. I know this is a really old comment but I just saw it and wanted to say THANKS! I’m so honored that you’ve enjoyed my books! Looking forward to more of what you do best. Hi I have read all the Ransom books and was wondering when ‘The Ransom brothers’ book will be out? Im so sorry I never saw your comment! I’m working on the new Ransom book now! Will you be coming out with anymore books in the Lovestruck series? I stumble across Lovestruck in London and my iBooks – I love you books so far! When can I get the paperback versions of Lovestruck? I would love all he copies and maybe a few for Christmas stockings. So I just found a whole bunch of comments I never answered. Eek! So sorry! I don’t have a Lovestruck book planned for this year but I’d love to revisit those characters in the future.